The process of hiring the right person for a particular job opening rarely moves forward in a straight line. As a small business owner, you may be finding it hard to locate the talent you need. While you can create a job posting on your website and wait for the resumes to roll in, you may not ultimately find the candidates you were hoping for. In order to find the right kind of talent, having a broader resourcing strategy can open up your access to different talent pools. This strategy must not only rely on the placement of ads on generic job boards or the use of online resume databases, but it must take into consideration more creative ways of recruiting people. But the question still remains: Where else do I look to find the people I need? Once these details are clear, it’s time to move on towards the next step. Now you’re in a position to begin your recruitment search in an effective way. It’s always nice to get the low-hanging fruit out of the way. Visit the Recruiting section of our Resources area. It has loads of people and places that can help you find candidates and ideas on where to find hidden talent pools. The referrals made by your own workers can be an excellent source of talent for your company, but they must be given incentives in order to get the best results. Click here for some useful ideas for your company’s referral program. You may also use some of the online products for securing social referrals. Google and Indeed are some of the best online sources that you could use for your talent recruitment drive. They could easily help you find the kind of talent people you are interested in. LinkedIn is a power tool for recruiting employees. The advanced search option of LinkedIn will definitely help you find exactly what you are looking for. There are many job boards available and it is advisable to try out the specialist boards rather than the main job boards. Click here to see an example of a simple job board for sales people. • Facebook is an easy to use sourcing tool. Get some tips on how, here. • You can also recruit on Twitter. Here’s a good infographic visual to help you search for relevant terms. People with similar skill sets can be found in online groups and communities like Facebook Groups with the help of the Chrome extension tool. It would also be good idea to search the LinkedIn Groups and Google+ communities. They are very convenient ways of looking for people who specialize in particular trades or people with specific skill sets. You may want to check out how to use events and conferences to look for talented candidates here. 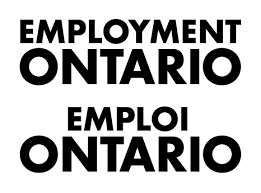 Ontario (and specifically York Region) has many service providers dedicated to helping employers find the right job seeker for their open job postings. And their services are free! Learn more here. The places to find candidates abound, but it’s always important to remember that you’ll never be able to find the right person until you’re absolutely clear about the qualities and skills that the ideal candidate needs to have.